Cute (adj. ): Non-threatening, innocent. To be used when something (or someone) makes you want to hug it, kiss it, and love it forever (brownie points to anyone who knows what that last part was referencing). Cute can also be used to describe an outfit. In this sense, it is used to convey that the person giving the compliment covets or admires the article of clothing in question. For example, “That’s a cute turtleneck dickey you have on” (disclaimer: I haven’t actually heard anyone say this). But, most of the time, cute can describe animals, both real and imaginary, 3-D or 2-D. I will be posting something monthly to get your dose of all things (I think are) adorable. Because let’s face it–aren’t we all looking for something cute to brighten up our day? 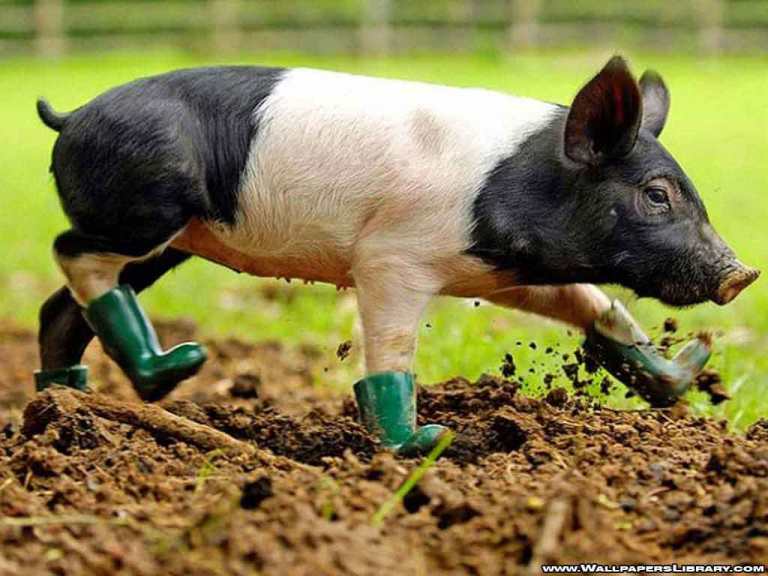 Boy, those boots are tiny! 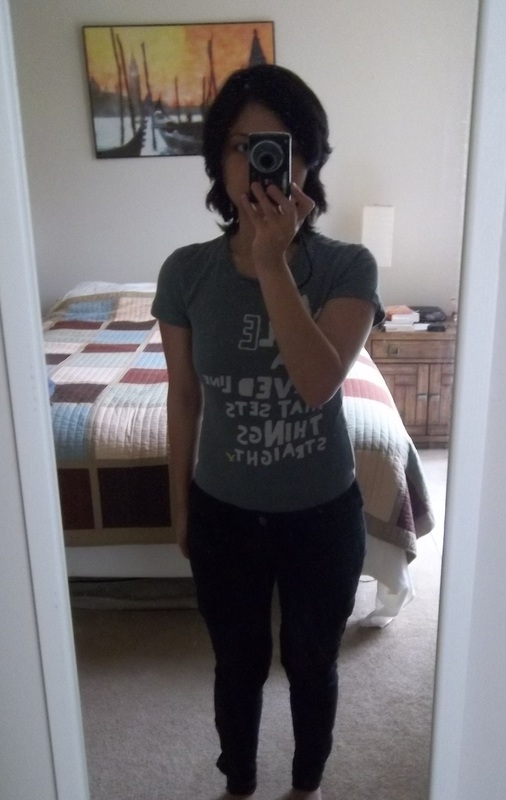 To be honest, I got this shirt because it had “my blog” written on the front. 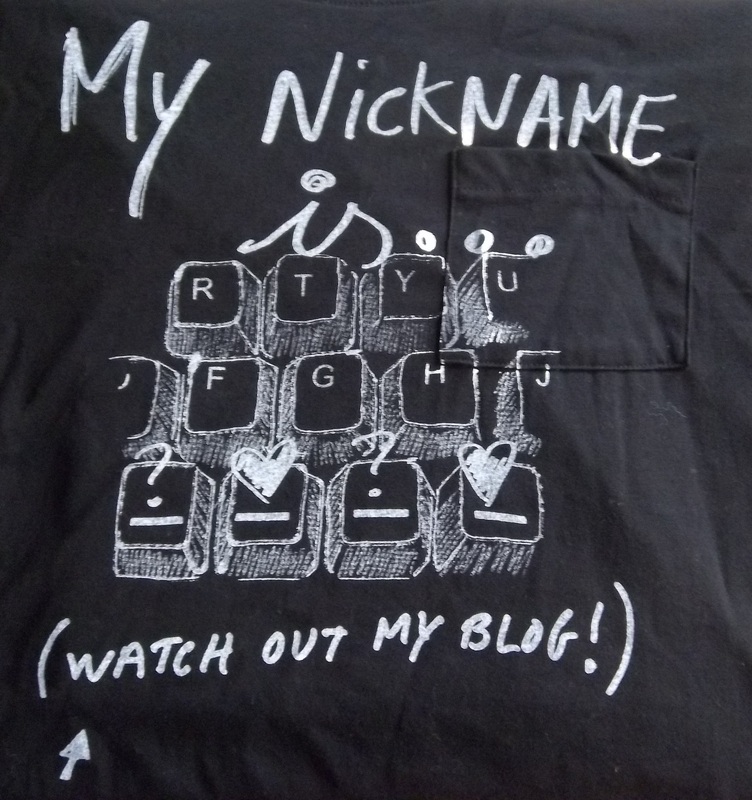 I also liked how there was a picture of a keyboard on the shirt, and I thought the nickname could be referencing Looks So Fine, so I immediately thought–it’s a keeper! 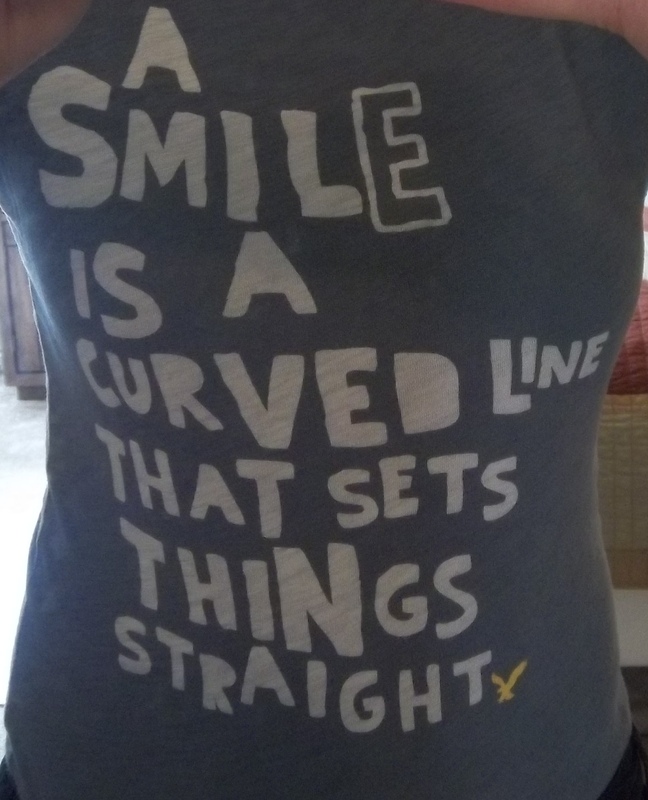 But then I read the whole shirt, re-read it, read it a third time and thought to myself, “this makes no sense!” Upon a fourth reading, I realized it was still completely nonsensical, but I had to have it (plus, it was $5–I had no choice but to buy it). 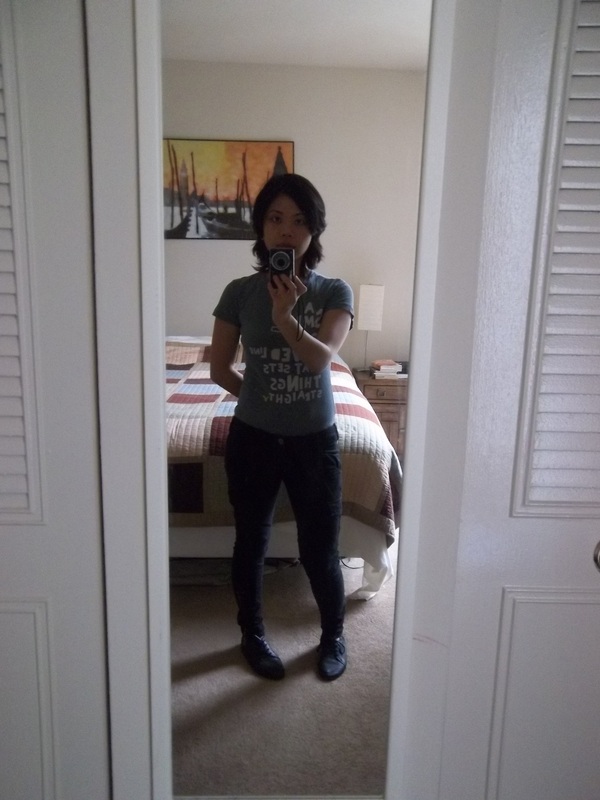 I had to take a picture of what I wore to run some errands. I wore a slight variation of this outfit over a week ago. I wore it again because I thought it was comfortable and would keep me from getting too cold (you can never tell what the temperature is going to be like when it’s overcast). The cheery message (see below) urged me to buy this t-shirt at a thrift store. One of my favorite types of shirts are the tissue tees because of their comfort and their versatility (I wore this t-shirt over black spandex leggings last time–in this picture, I’m wearing skinny, black cargo pants). 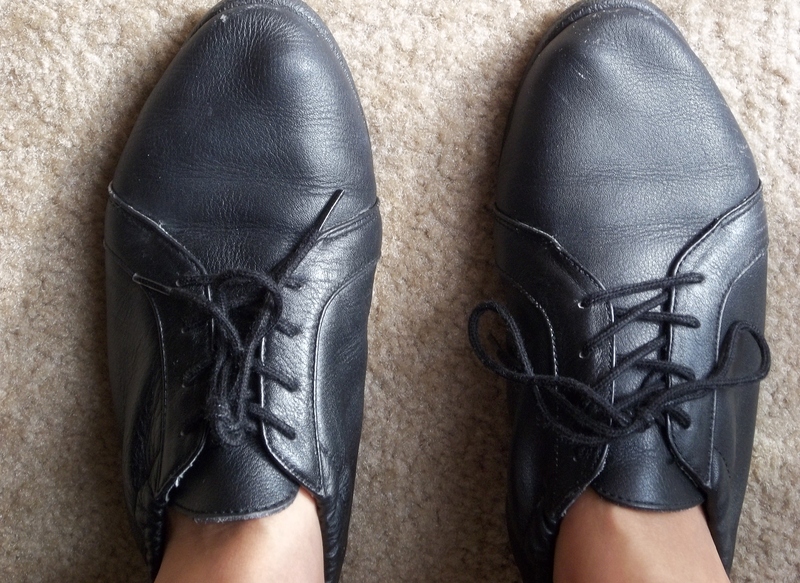 My shoes were a closet find from my bedroom at my parents’ house. When I tried the shoes on, I discovered that they fit, weren’t too worn out, and were pretty comfortable. The funny thing about them–they were shoes that I wore when I was 10 years old! So yes, I’m rocking Stride Rites in this photo. What can I say? I have small feet! Hope everyone had a good day (the t-shirt says it all)! When it comes to fashion, I’ve had many sources of inspiration. The first memory I have of really wanting to emulate someone’s style was when I tried to dress like Clarissa Darling from the Nickelodeon TV show, Clarissa Explains It All (as played by a young Melissa Joan Hart). She had a totally outrageous (defined as ’90s) style. She wore oversized vests and spandex shorts, and she paired men’s shirts with black leggings–I wanted to be her! I would wear my mom’s old button-down shirt with a pair of banana yellow sweatpants and talk into the mirror like I was talking into the camera and–voila! I was the star of my own imaginary TV show with my own funky wardrobe to boot. As I got older, however, I drew inspiration from other places (unfortunately, Clarissa Explains It All had to go off the air someday). I saw movies and TV shows where the characters would literally throw on some clothes and be ready to go (this was an extraordinary feat considering I used to take over an hour to get ready in high school because I spent a good half an hour trying to figure out what I was going to wear). I also was inspired by a trip to Paris where I was able to admire, first-hand, the city’s sophisticated sense of style. 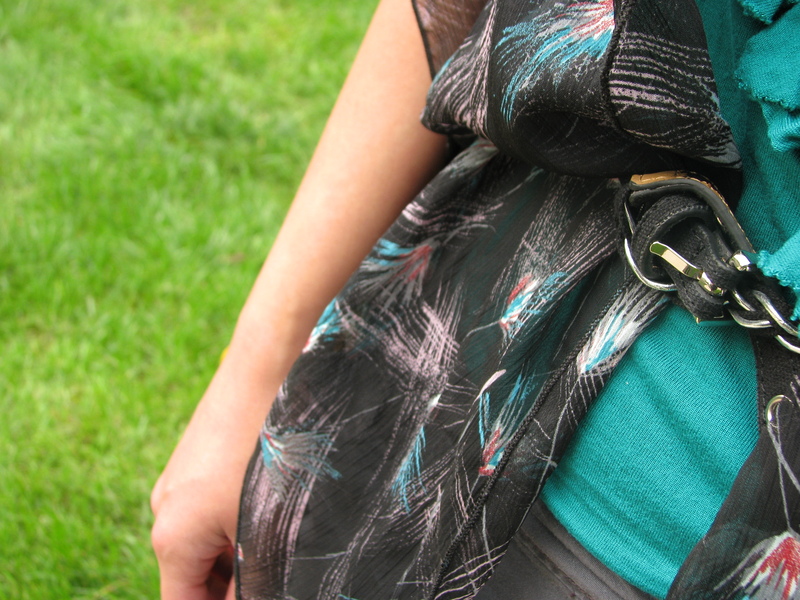 I decided I wanted my style to be not just eye-catching, but easygoing and effortless. But I think that one of the things that brought me further into fashion were the street style blogs that made me realize that fashion is everywhere. As I became more conscious of varying styles, I became more aware of how those who were the best dressed, were the ones who made looking chic look natural. This is what inspires me: seeing how people wear the clothes they choose to wear everyday while staying true to themselves. Thanks for starting it all, Clarissa! I’m one of those people who can be drawn into a movie just by a certain song. You know, the kind of song that helps you understand a character’s emotions or helps you remember what it was like to be “coming-of-age” (whatever that means to you)? Well, for some reason, fall makes me feel like I’m living in my own indie movie and that I need a soundtrack of my own to get me through the rest of the year. Now I know I’m making fall sound like a really depressing season, but that’s not what I mean to say (now winter on the other hand…that’s a depressing season). In a way, I feel like this time of year marks the start of new things: new school year, new TV shows, new wardrobe, etc. With this “newness,” however, comes the idea that I’m leaving old things behind. So, I think, that in a way, songs from previous falls (the season, not my episodes of clumsiness) help me to remember the times that have passed and help me to remain hopeful for the future. To me, fashion, like music, can be an expression of ourselves and our moods. And on an overcast, autumn day, I can’t help but feel like I need to wear something that represents these feelings of nostalgia. This outfit makes me think of the times I went to school in the fall because, interestingly enough, I wore this skirt when I was in high school! Actually, the skirt really belonged to my sister, but we borrowed each other’s clothes all the time (and lo and behold, it eventually found a permanent spot in my dresser drawer). The plaid shirt is one of the many pieces of clothing that I’ve gotten from my mom. The shirt is probably from the ’70s or early ’80s but it’s still in good condition. I think both the shirt and the skirt are still fashionable because they’re classic in style. 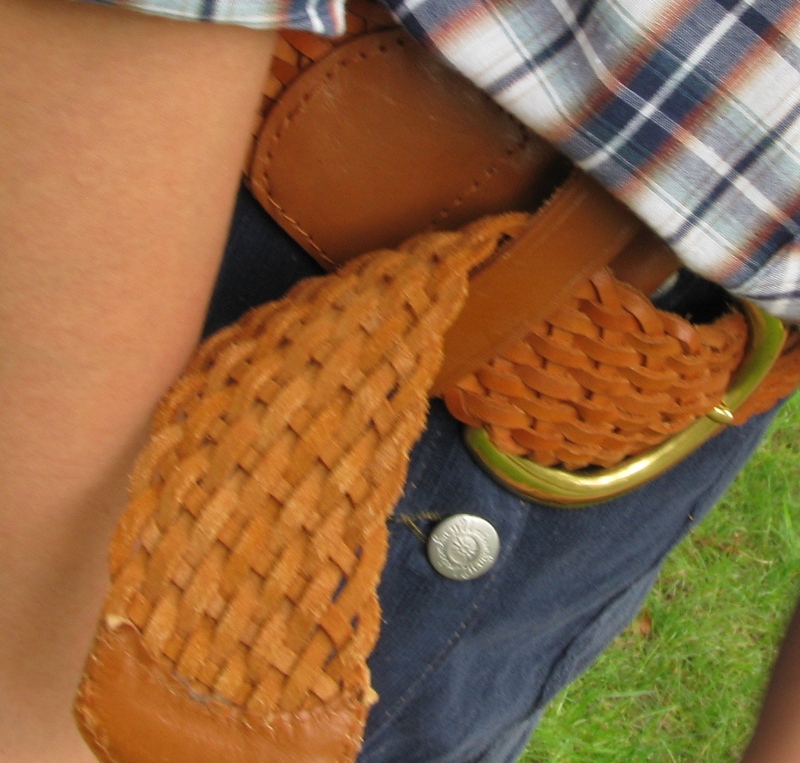 The belt (also “donated” by my mom at my request), although old, helps to bring the whole outfit together. Actually, the newest part of my outfit are my shoes. I love pairing new and old clothes together because of the unique ensembles that can be created. So, fashion, and the future, offer us limitless possibilities–now doesn’t that just make you want to make your own mixtape (or whatever the young kids are doing these days)? My first outfit reflects my love for wearing things that don’t need to be ironed (you could argue that I should have at least ironed my shorts, but we’ll save that for another discussion). But, in all honesty, not only do I love how I literally pulled pieces from my closet (or in this instance, off my pile of clean clothes since I no longer have space in my closet) to make this outfit, but I also love how I could layer with something that is “in” at this moment. A lot of designers are playing with different prints for their spring collection, mostly animals and floral designs. 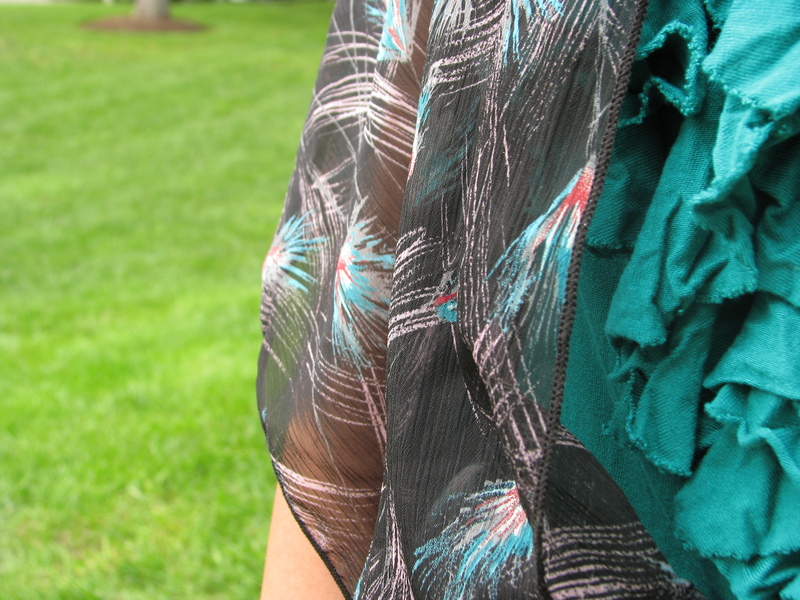 Granted, I am wearing neither animals nor flowers, but the wispy, colorful prints remind me of delicate floral feathers (if those things really existed). That makes me trendy, n’est-ce pas (yes, I threw in some French to show just how “in the know” I am)? My accessories are also lacking in this picture. Most of my outfits will probably recycle a lot of the same purses, belts, and jewelry because I’m unfortunately more of a clothes-horse and not an accessories queen (or whatever someone with a lot of accessories is called). However, I will be starting a feature that will allow me to collaborate with other people and possibly borrow some of their accessories (if you are reading this, you know who you are). So stay tuned! There’s more to come (and I apologize for my lame poses. I’ll try to be sassier in the future)! P.S. Credits go to my husband, Chris, for his photography skills and his patience. I like cute things, fashion, and pop culture references (the title of this post is a reference to the launch of the Dunder Mifflin website on the TV show The Office–kudos to those who already knew that!). To celebrate the birth of this blog, and to honor what would have been Jim Henson’s 75th birthday, here is a fabulous picture of the stylish Miss Piggy. I can only hope that I can dress and pose with as much flair as her! I love the peacock feather skirt and her signature purple velvet gloves! 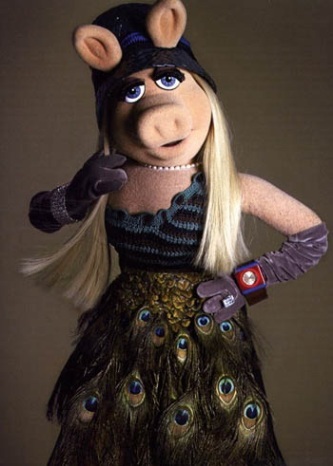 Miss Piggy: the most fashion-forward Muppet.